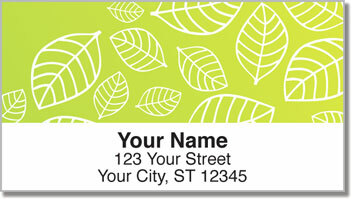 Simple, yet attractive illustrations of leaves drifting to the ground will add originality and elegance to your outgoing mail. The pattern of falling foliage comes to you in four different colors. It's a classy way to give letters and packages a look of distinction and warmth. 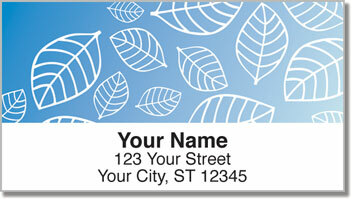 Falling Leaves Address Labels from CheckAdvantage are also an excellent time-saving tool. 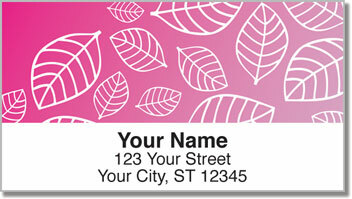 No more hand cramps from writing your name and address on envelopes. A convenient self-adhesive backing means you just peel, stick and get on with your day! 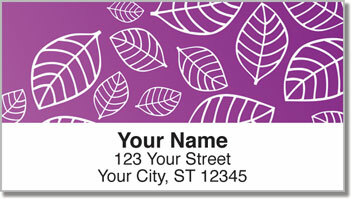 Order your very own Falling Leaves Address Labels today! Get matching personal checks to make it all complete!